No lead is safe with the Wizards and tonight proved it. Washington raced out to a 25-point second quarter lead on to blow the lead in the third quarter but retake control in the second half for a 116-106 win over the New Orleans Pelicans. Bradley Beal led the Wizards in scoring with 26 points as six Washington players scored in double-figures tonight. Mike Scott continued his hot streak with 24 points off the bench on 11-15 shooting from the field. Washington led 58-33 in the second quarter and it looked like it would be smooth sailing for the Wizards. But New Orleans ended the quarter on a 22-3 run to cut the deficit to six, 61-55 at halftime. After tying the game at 61, it was Washington’s turn to go on a run. After six early points in the third frame from New Orleans, the Wizards outscored the Pelicans 32-9 to take control of the game. Hope you're wearing your seat belt. Washington gets back in the win column with an up-and-down performance over the Pelicans. Beal scored just four points in the first half. And with a slow start to the third quarter, it looked like Beal would be in for a long night. Lo and behold, Bradley Beal rolled his ankle when he stepped on E’Twaun Moore’s foot in the third quarter and that seemed to get him going. BEAL'S ANKLE LOOKS GOOD TO US. Beal hit three-pointers on back-to-back possessions to give Washington a 91-68 lead late in the third quarter as he ended the period with 14 points. Brad stayed aggressive in the fourth quarter both attacking the rim and knocking down his three-point attempts. Brad played a key part in Washington’s run to blow this game open in the second half. After three ho-hum games from Wall, he finally turned in a solid performance in his fourth game back from injury. Wall ended the night with 18 points, 10 assists, and 6 rebounds but most importantly, looked like he had his speed back. 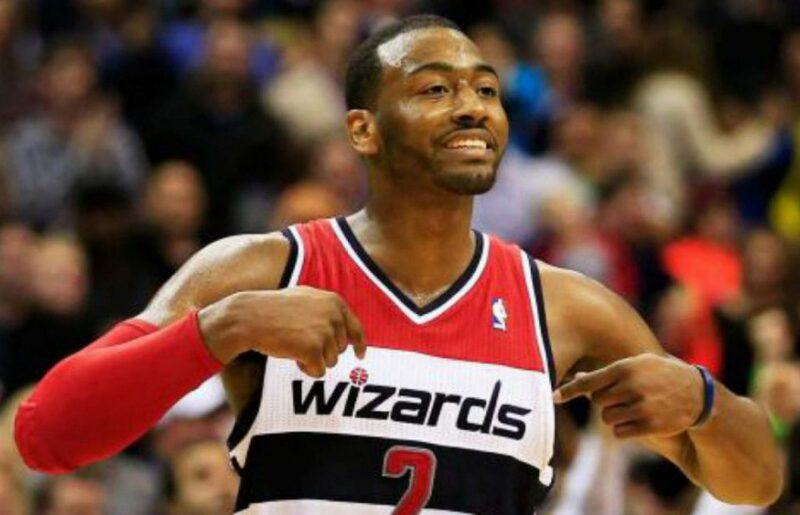 Wall has been hesitant in the first few games back from injury but that wasn’t the case tonight. Wall’s shot was falling early as he scored 14 points including going 3-4 from three-point range before the first quarter was over. Wall’s production slowed down over the course of the game but that’s to be expected of a guy returning from a knee injury. This was John Wall’s first game back from injury where he logged double-digit assists including this nifty no-look pass. John Wall with the no-look alley-oop to Gortat. Just sick. I sound like a broken record but once again, Mike Scott was rolling. This time to the tune of 24 points on 11-15 shooting and a mind-boggling 9-10 on two-point field goal attempts. Scott came in and was instant offense connecting on his first six field goals tonight. Once again, Scott provided the punch off the bench that the Wizards needed to stretch their first half-lead and second-half lead. Don’t look now but yet again; Scott played more minutes than Markieff Morris 23-20. Marcin Gortat notched his eighth double-double of the season with 10 points and 14 rebounds. Ian Mahinmi dished out a career-high five assists. Washington turned 16 New Orleans turnovers into 25 points. Up Next: Washington heads to Brooklyn looking to exact revenge for a loss just one week ago.